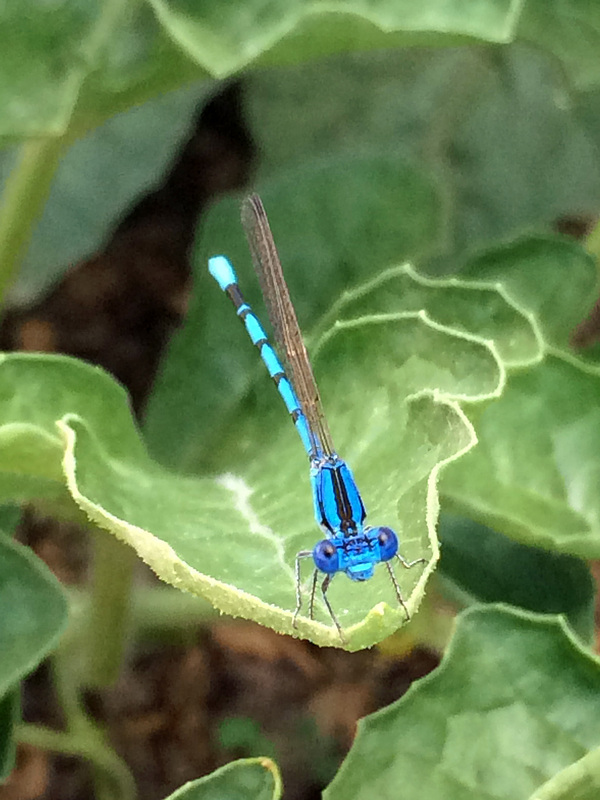 I spotted a bit of blue among the watermelon leaves and found this bright blue Damselfly. 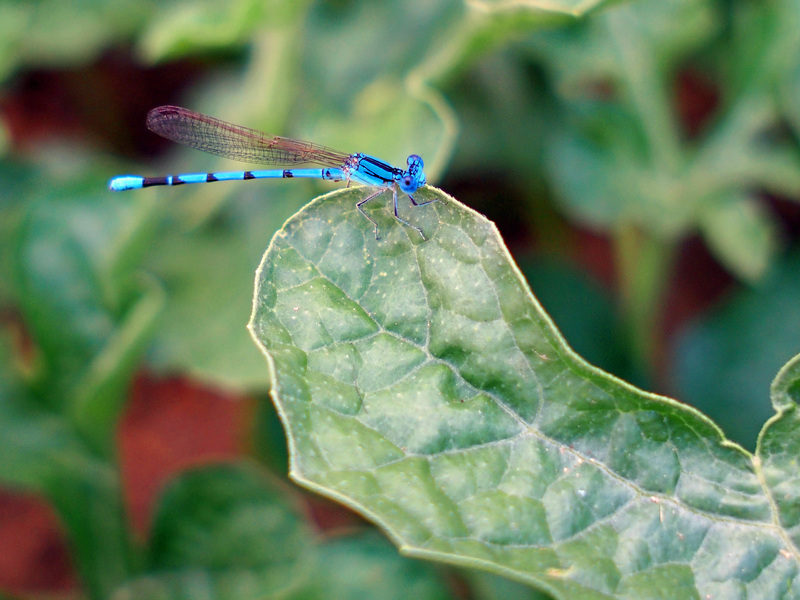 Damselfly – taken with Olympus E-PL5 using 19mm lens, f2.8. I’m watching you, lady! Taken with iphone 5s.